TGIF! Wow... this week flew by so quickly! I have been extremely busy teaching my class all about the farm. In the very near future I am going to be posting some highlights from my farm unit ... so stay tuned! As for today I wanted to share with you this cute art project I had my kinders work on it's called April showers bring May flowers. Hope you like it! P.S. I can't believe that I have 11 followers! I am so excited! So... we meet again! Two times in one week... how awesome is that? Tonight I wanted to share with you a few instructional activities that can be used in your small groups. There is nothing fancy about what I am about to show it's actually quite the opposite. I have found that these activities are simple enough you can prepare them on the spot. Opps ... I made a mistake on the "Q" it should have a lowercase "q" instead of a "u." I have a few students who are still learning their alphabet. This is one of the activities that I use to help them make letter sound connections. I found these alphabet tubs at LakeShore and although they are a little pricy I broke down and purchased them. I am so glad that I did because I use them in my small groups, centers, and during instruction. As you can see in the picture, I write down the letter on a sentence strip and cut it like a puzzle. My students match uppercase to lowercase letters. Next, I give them a toy from a tub and they have to place it on the letter that has the same beginning sound. These cards are taken home in their nightly book bags for a little extra practice. Here is a simple way to have your students practice sentence structure and conventions. I have my students choose a sentence from their book or write their own. I copy it on a sentence strip and cut it out like a puzzle for them to take home and practice putting it back together. Word rings are an important staple in my small groups. Each child has a ring that they take home each night and read. High frequency words are gradually added to their words rings. I use Post it notes to practice beginning and ending sounds. Each child in my group will have two Post it notes in front of them. I say a word and they have to slap the Post it that has the correct placement of the sound. If I say "ham" they would have to slap the Post it on the right that represents the ending sound. Here is another tool I use to practice beginning, middle, and ending sounds. With this activity I will say a word and they have to stretch the word while they are writing it. Then I have them point to the beginning, middle, and ending sounds. This is an open ended activity that you can change to suit your needs. At the beginning of the year I used this activity to practice letters and sounds. These alphabet cards are from Hooked on Phonics. I used these to review letter names and sounds at the beginning of the year. I am still using these cards with my group that still needs alphabet practice. I would love to hear what you think! Please make a comment or two! 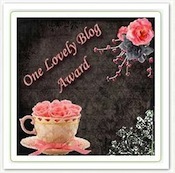 Don't forget to follow my blog ... I was excited to see I have seven followers woo hoo! Hi friends! I'm sorry that I have been M.I.A. for the last week but to be perfectly honest, I had a good excuse! Last week was my spring break and I promised myself I would not think or do anything work related. WHY is that so hard to do? I paired up the kinders in groups of two. Each group had their own set of solid figures. They recorded their findings on this worksheet that was from Kindergarten Kindergarten. Here are some pictures of the experiment in progress. These two scientists experimented with different solid figures to see which ones could roll. This scientist experimented with solid figures to see which ones could slide. My last group of scientists stacked their solid figures. I would suggest trying this hands on activity with your class. It kept them engaged for quite a while.